2016 July CEO Report: CEO Exits Match Last Year with 716 | Challenger, Gray & Christmas, Inc.
For the year, 716 CEOs have left their posts, exactly the number who left through July last year. 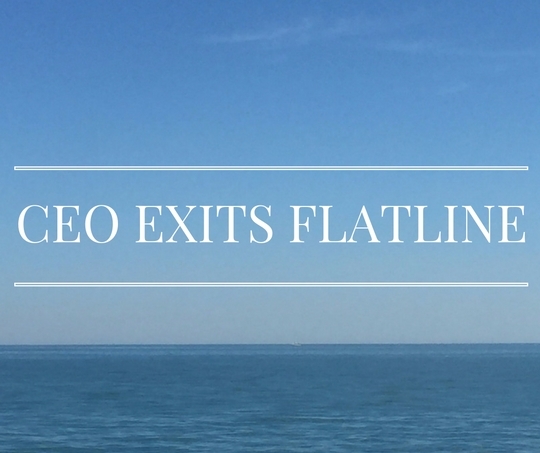 July CEO departures were led by hospitals, which announced 14 CEO changes last month. Hospitals have announced 88 CEO changes through July, second only to the government/non-profit sector, which has announced 116 CEO changes this year, 11 of which occurred in July. Other health care products companies, including medical technology and equipment manufacturers, announced the third most changes in July with 10. Computer, entertainment/leisure, and financial companies each announced 8 CEO changes last month. Major announcements came from Eli Lilly & Co. whose longtime CEO John Lechleiter announced he would retire at the end of this year after an 8 year tenure. Another longtime leader John Lundgren announced his retirement after 12 years at the helm of Stanley Black & Decker. In a planned succession, COO James Loree will replace Lundgren. Pennsylvania led the country in announced CEO departures in July with 10 bringing the year-to-date total to 34. California companies have announced the most CEO departures this year with 72, 7 of which occurred in July. Texas follows in yearly CEO departures with 70. Retirement was the most oft-cited reason for departure so far this year as 204 chief executives used this reason, 32 in July. Another 155 stepped down into other positions, usually at the C-level or as board chair. Seventy-seven found new positions in other companies, while 29 were ousted this year.